The answer is yes, for the most part. Some names meant more than others, of course. I basically never look up what names actually mean or where they derive from until long after the fact because those just aren’t important factors to me in choosing names. When I run across a name I like, I try to keep it in mind until I can use it. The way names sound is important, and the way they feel in the mouth when you say them. I used to do a job where I heard and typed dozens or even hundreds of people’s names every day, and this has given me a sort of amorphous sense of what constitutes a believable, plausible name. I want character names to be as real-seeming as anything you’d find on a sign-up sheet or roll list, but fitting for the personalities and scenarios involved. All the boys’ first names were chosen from census lists of era-appropriate names. Personally, I am not okay with circa-1900 Jadens and Tylers! I knew what my Main Character and Love Interest would look like, and had a good sense of their personalities, and when I was looking at census lists Henry seemed dark and shy, and Martin seemed bright and determined, and that was that. If I even considered other names, my notes don’t reflect that, and I certainly don’t remember having other options. They are who they are. As it turns out, Henry is a king’s name, Martin a warrior’s. You can make a case for either, I suppose, but I like to think they’re more nuanced than that! And more fallible. Because I had the idea early on that it would be great to have a modern AU of this story (and I’ve written half of it already), I made sure that all of the boys’ first names would be plausible as modern-era names, as well. That meant nothing like Cornelius or Zebediah or Ezekiel, nothing too blatantly biblical or quaint. 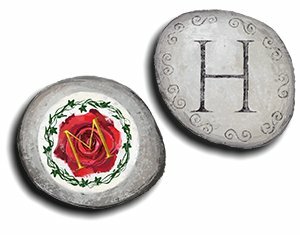 As for last names, Blackwell read a couple of ways to me: solid and distinguished, but not particularly refined or patrician, much like Henry’s father. It also was literally a dark pit, black/well, and I think that’s not too far off from where the Blackwell family is sunk at the beginning of the series. I felt that Blackwell slotted in next to Henry in a very satisfying way. I definitely wanted “black” in the family’s name and considered a couple of other names, but it was the well/pit that decided it for me! Hiram Blackwell, by the way, was deliberately saddled with a very old-fashioned name to make him seem much more conservative than he eventually proves to be. It’s a very no-nonsense name to me, an impatient name. Pettibone was one I dredged out of memory, indeed because of Adam’s horrible pettiness and cruelty. For a more basic boy, I wanted Louis’ last name to be sort of a blunt grunt with a bit of a rasp, and Briggs did that for me. Gordon Lovejoy is one of the unhappiest of the young masters, though perhaps only I know that at this point! Albert and Abigail DeWitt get their last name from a guy I dated who had nothing at all in common with the twins, but I’ve always liked the shape of the name, the way it looks typed. DeWitt is also relevant to New York. DeWitt, van Houten and Vermeulen are all Dutch surnames to reflect New York’s history of Dutch colonization, chosen for sound and shape in addition to their Dutchness. The Wiltons were originally going to be Wilsons, but a random viewing of something related to cake decorating (there is a Wilton company that makes pans and decorating equipment) made me switch to the more-interesting variant, which seems an immeasurably better fit to me, what with the relationship to frivolous beauty and pleasure. Jesse’s name was chosen for the same sort of vague era-appropriate reasons as other first names, and his sister Bette’s name was chosen for era and also because I liked the idea of the siblings having the same pattern to their names. While it really doesn’t show up in the books at all, know that Bette is very much the female version of her younger brother in terms of enthusiasms. At the very least, every name was chosen for a rhythm that appealed to me, and in most cases there was a little more behind it, albeit all fairly personal in terms of meaning. I had one of my beta readers complain while reading A Proper Lover (GQ 2) that I had too many -well names (Blackwell, Caldwell, Maxwell) and that I should change them. Of course, it was too late to make changes at that point, but it probably was too many! Hi Darrah! Is the modern version of GQ in an AU published somewhere? Eager to read it. Can you post a link? Cheers and Happy New Year! It’s not published yet! I thought I would have it done by this point, but I’ve ended up working on other projects. It’s backburnered for awhile, and I anticipate I’ll do some Jesse stories and maybe others set in the GQ book timeline before I go back to the modern story. I’m glad to know you’re interested, though! I have really enjoyed your mastery of names, Darrah, and knew that there had to be a lot of discrimination here. (It’s nice to use that word in its proper, positive sense.) The names really add to the confidence of the AU, giving it a real verisimilitude. My connection with the name Martin is with the great Saint Martin of Tours- a person of great moral imagination. Now that’s a felicitous connection. I like this sense of discrimination, as well. Choosing, selecting, judging, making distinctions. I always want to give a character a name with the right (albeit very personal) associations. 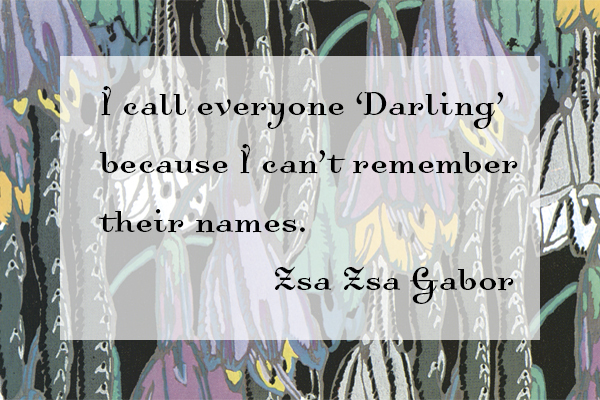 It’s not just in fiction–in my everyday life, I’ve gone by a chosen name rather than the legal one for many years! The story of Martin of Tours begins with the saint’s giving away half his cloak to a poor beggar he meets in the street of Amiens on a cold February day – and then having a vision of Christ in Heaven wearing the cloak Martin has given away. It’s one of many pious stories that follow the same pattern: a good man or woman spontaneously shares with the poor or hungry, only to find that they have unwittingly helped Christ or the Virgin. The idea of spontaneous love is the active ingredient in the story mix – and that describes Henry’s Martin nicely. I’ve just finished rereading the last pair of books, having rushed them just to find out what happened when they were first published. One of the reviews on Amazon faults the Henry story as predictable: not so! You’ve built real tension into the pain of both the heroes as they try to negotiate a changed relationship. You manage it so well. Your gracious generosity extends to everyone – to Louis, to Jesse, to Hiram and Mrs Blackwell and Tom. They all come to the good. Thank you again for what you have done. It’s wonderfully fresh and engaging writing. My apologies for not responding sooner! I’ve been working and hadn’t realized there were comments I hadn’t seen. Thank you for the Martin of Tours summary. I have heard that story in one form or another over the years, and I certainly see how it applies to Martin especially, though I can see a version of it for Henry too. Augh! Reviews! *shudders* I can’t even read them anymore, good or bad. So without having read the specifics of that critique, I suppose someone could consider the story predictable depending on what they’re looking for. My interest in reading and writing both is to explore characters and their relationships and growth. I care a lot about setting. I certainly won’t say I’ll never write something that’s action-packed, but it has never really been a big interest of mine. I’m the sort of reader who skims battle scenes most of the time.